One more week until you hit your halfway point! 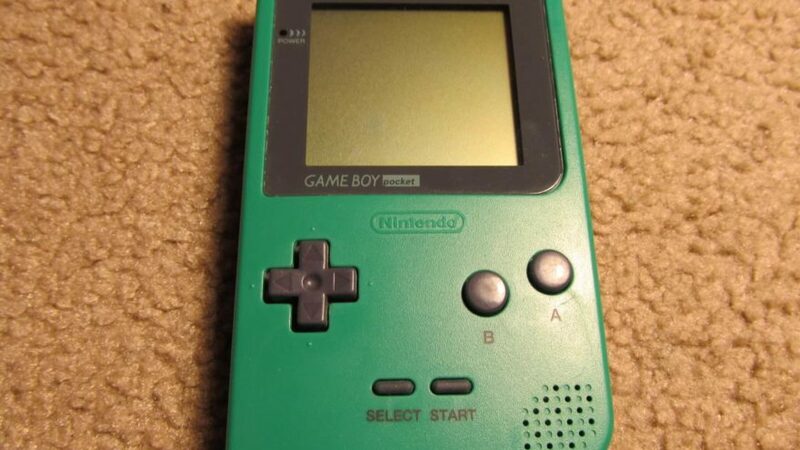 At week 19 your baby is 6.0” or the size of a classic Gameboy. For those gamer moms to be your baby is also the size of the classic game boy. Not too much longer until you’re ready to Power Up! 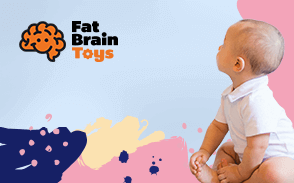 Your baby’s brain is beginning to develop the receptors for the five senses. Vernix Caseosa is being grown by your baby. This is a soft coating that will keep your baby from getting wrinkly in the amniotic fluid. You will see little to none of it by the time they are born. You will need to start boosting your body with iron. This week’s superfood will help you do that. Blackstrap Molasses is jammed packed with nutrients needed for your pregnancy. It is the by-product of sugar refining, so it contains all the good stuff. The darker it is the healthier it is. You know how your sugar is white, that is because all of the vitamins and minerals have been stripped away. Blackstrap molasses contains Iron, calcium, vitamin D, protein, and B vitamins. Consuming two teaspoons of blackstrap will allow you to obtain 10% of your recommended daily intake of iron, calcium, potassium, and magnesium. The molasses is sweet but also has a bitter taste. Here are a couple recipes you can use so you won’t have to consume the molasses raw. You can also add the blackstrap molasses to smoothies. This recipe will be great for those mornings when you need an on the go breakfast. The molasses will provide you with iron and the ginger may aid in morning sickness so, it’s a win-win! How To Prepare: First, preheat your oven to 350F. While your oven is preheating chop the chocolate into chunks and line a muffin tray with paper cases. This recipe will make six muffins, so you will need at least six paper cases. Stir the flour, baking soda, salt, cinnamon, ground ginger, and coconut sugar in a large bowl. Whisk the milk, unsweetened apple puree, oil, and molasses in a separate bowl. Combine all ingredients and stir in the chocolate chunks. Divide your muffin mixture evenly between your paper cases. Put the muffins in the oven and bake for 10-15 minutes. This is the perfect on the go snack for an iron boost. The almonds, raisins, and molasses make this a delicious and nutritious snack for your pregnancy. How To Prepare: Grind the almonds and a generous pinch of sea salt together until they are finely ground. We found a food processor works best for this step. Add the raisins, a dash of allspice and cloves, molasses, and cinnamon. Grind all the ingredients until the mixture is sticking together. Roll into 1 inch balls and store in the fridge. They delicious balls will stay good for a week, but they won’t last that long! You and your baby need that extra blood so be sure to get loads of iron into your daily diet. At this point, your doctor may be recommending you to double your daily intake, which may put you at 27-30 grams of iron each day. You’re probably wondering how you will get those grams in. Take a prenatal vitamin, while also snacking on raisins or dried peaches throughout the day. Hey, Dad to be! Before we go into your tip for this week, let us say thank you for being such a good sport about your tip for last week. We’re sure she got a cozy night’s rest with you allowing her to hog the bed. Seriously, you’re amazing! This week, it’s time for you both to start thinking about a name for your little bean. Maybe you’re the type of dad who will be happy with any name, or maybe you’re the type who already has a name picked out and are pretty stubborn about it. Whichever type you are, we’re getting you out of your comfort zone. Play the name game with her, chances are she has a few name suggestions too. Both of you should get out a pen and paper and make a list of your favorite names. Once you both have finished, switch lists and cross out the names you refuse to name your child. Try to be understanding of her choices and don’t just immediately cross every name off. You may have to compromise. Once you have narrowed down the list say the first and last name out loud. Do you love it or hate it? Next, write down the initials. Is the abbreviation weird? Finally, are they any cute nicknames that can come from your child’s name? You’re allowed to have a say in the name just try to be respectful of her choices as well. Chances are you just read our tip for your co-creator too. Guess what lady, that tip goes to you as well this week. Yes, we know you’re the one carrying the baby and experiencing all the horrible pregnancy symptoms but you should still let your partner have a voice in picking out a name. We’re not saying you have to give in and name your child after his favorite superhero like he has probably suggested several times but hear him out at the very least. There are several ways you can comprise. Maybe try getting the opinions of family members, or allowing one person to name the girl and one person name the boy. Talk about names that be meaningful to either one of you. Most importantly, be respectful of the names he suggests. He may not like some of your suggestions either but talk through it instead of being mean. Control those raging hormones when having this talk. At this point, your symptoms have probably become more annoying than critical. Here’s what you may be experiencing in week nineteen. Dizziness: More blood is flowing to your baby, which means less blood may be going to your brain. Your low blood pressure could be making you feel light headed and dizzy. Sleeping on your side will keep your blood flowing. Slowly standing up and not standing up for long periods of time may reduce your dizzy spells. Leg Cramps: This symptom can easily be prevented. Leg cramps are typically caused by dehydration. Drink lots of water, your body needs it! You can also relieve the pain by stretching your calf muscles. Supportive shoes are great for preventing leg cramps. Abdominal Pain: At nineteen weeks, abdominal pain may be no stranger to you. Your muscles are stretching to make room for your baby thus creating pain in your abdominal region. You may also experience pain in your hips. Everyone’s body is different and every woman’s pregnancy journey will be different. Typically at week 19 Your uterus is now almost at your belly button and is only halfway done growing. Your posture is continuing to change as you are tempted to lean back to balance your outward growing stomach. Dizzy spell, ain’t nobody got time for that! Girl, we got your back. Staying hydrated can prevent dizziness. If you’re already drinking plenty of water, here are some other all natural home care remedies to help with your dizzy spells. Ginger: By now you may have been using ginger to ease morning sickness, but it also helps with dizziness. Ginger aids in circulating blood to the brain, thus keeping you from being lightheaded. Ginger root and powdered ginger are both great at combating dizzy spells. If you drink tea, ginger tea is the way to go. Lemon / Honey: Lemon hydrates and energizes your body, thus serving as a great remedy for dizziness. Since you should already be drinking plenty of water, just squeeze a lemon into your next cup. You can even warm the water and add a little bit of honey. Honey is great for keeping your blood sugar regulated while also energizing the body. Your dizzy spells don’t stand a chance against a honey, lemon, and water mixture. Indian Gooseberry: Indian Gooseberry is a medicinal fruit full of vitamins that improve blood circulation. Also called Amla, this fruit has a sweet and sour taste. Peppermint & Cypress Oil: Both Peppermint and Cypress Oil boost blood circulation through the body. Put a few drops of one of these oils into your hand and massage onto your neck and forehead. Your dizzy spell will be gone in no time. Leg cramps are annoyingly painful, there’s no doubt about it. You’re nineteen weeks pregnant, you have a lot going on. The last thing you should have to deal with is leg cramps. We’re going to give you some pointers on how to prevent leg cramps and ease the pain when they occur. Stretching is a great method for both preventing and alleviating the cramp. You should stretch before doing any exercise or if you are going to be using your legs for long periods of time. When the cramp occurs massage the muscle as well as areas around the muscles. Applying heating pads or a heated bag of rice can also be used to eliminate the cramp. If you can withstand the pain for a few minutes, fill up your tub with warm water and Epsom salt. A relaxing bath is the perfect cure for tense muscles. Ice packs also work wonders on leg cramps. Documenting your bump is a fun way to track your pregnancy journey. Each week you learn that your baby is the size of a certain fruit. Go to your local grocery store, buy that fruit and take a picture with it. To show your bump, turn to the side and hold your fruit. As you get to the bigger fruits you can place them at your feet. There are also stickers that have the fruit and number of weeks, you can buy those and stick them to your belly for adorable pictures. Look into childbirth classes. Hospitals and parent resource classes will hold them. Don’t be afraid to ask for help, no matter how big or small the task is.